The requirement in most countries including New Zealand is for the student to complete 100 hours of basic training. Each Student is expected to up-date their skills regularly to keep up to date with the changes in the industry. The Student is required to complete four Modules. Studying from the Course Manual and completing the written examination. The student is required to attend five days of Practical work learning the procedures for Eyebrows, Eye-lining, Lip-lining, Lip Blend and Full Lip Colour. The student must work in her own clinic for at least two months gaining experience by practicing the skills she learnt in Module Two. The student attends three days of intensive Practical work adding new skills. The student will take her Practical Examination. The student must bring to this module, photos and case histories of work completed in Module Three. 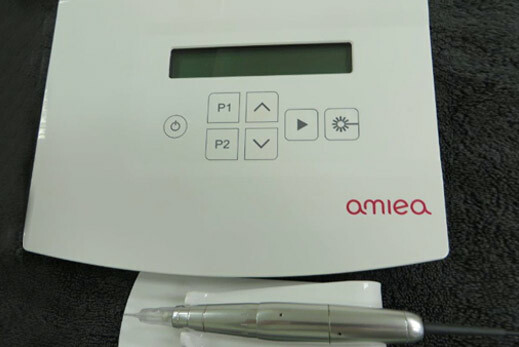 Introduction, benefits, contra-indications, consultation, keeping records, contract, machine and attachments, hygiene, insurance, topical anaesthetics, pigment colours and colour mixing, implantation techniques, treatment procedures, treatment after-care, healing, beauty spot, correction, pigment migration, marketing and building clientele and pricing treatments. Colour Technology is included which includes: introduction, physics, composition of pigments, properties of pigments, allergies, skin tones, colour correcting, camouflage, understanding skin under-tone. Carol imports machines and attachments which have the most highly developed, hygienic and safe disposable systems available in the world. These machines give you the power and reliability of modern German technology. Carol has exclusive distributorship for these products within New Zealand. They are available at affordable prices as they are imported directly from the manufacturer. Covers breast re-construction, terminology relating to re-construction, the breast, breast cancer treatment, procedure and home-care. Also covering: burns, scars, cleft-lip and collagen induction.The Practical work includes: breast re-pigmentation including 3D method, scars and scar camouflage, cleft-lip and other procedures. Learn both the Theory and Practical instruction. 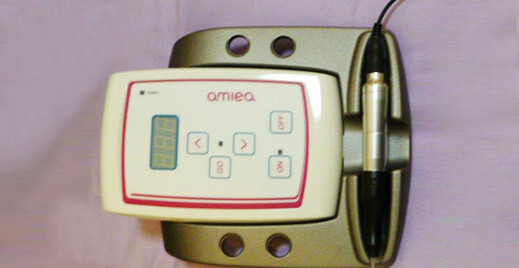 Collagen Induction with the Meso cartridge and products. Learn both the Theory and Practical instruction. Especially formulated for the Cosmetic and Medical Tattoo profession in New Zealand. It is vitally important to have a safe but effective numbing agent for these invasive procedures. The client’s comfort is very important both for the client and the operator. 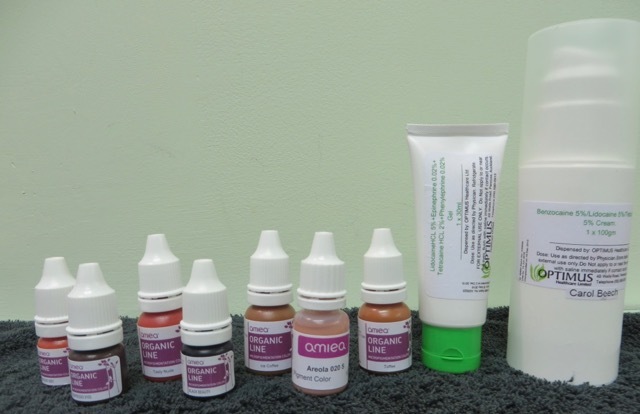 Specific instruction is taught in the correct use of these Topical Anaesthetic products. Carol imports German organic pigments and has all the colours in the range for all procedures. These pigments are safe as they are tested and certified by the German Government. If you are intending to do Cosmetic Tattoo procedures, you need to be set up in suitable premises that will comply with the Health Department of your local Council.